Attention Parents of Future Kindergarteners! 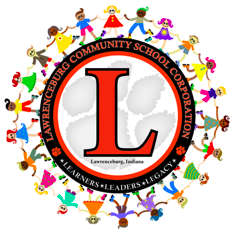 Lawrenceburg Community School Corporation is launching a Spanish Dual Language Immersion Program for the 2019-20 School Year! Please plan to attend an informational session. 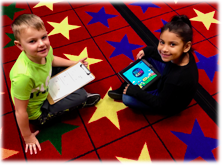 The Lawrenceburg Community School Corporation Dual Language Immersion Program supports all students to attain high levels of academic achievement, bilingualism, biliteracy and to cultivate cross-cultural competency through rigorous standards-based instruction and high levels of student engagement. Academic Achievement - students will be at or above grade level in core subjects. Bilingualism - students will be effective communicators (speaking and listening) in both languages. Biliterate - students will be able to read and write proficiently in both languages. Sociocultural Competency - students will be engaged in a unique learning community that will teach positive cross-cultural attitudes/behaviors and high levels of self-esteem, thus preparing them to become successful global leaders and learners. Community Engagement - we believe we must engage parents and community stakeholders in order to maximize our educational impact. What is a Dual Language Immersion? Dual Language Immersion refers to teaching and learning in two languages. Students will be taught 50% of the day in Spanish by a Spanish-speaking teacher and 50% of the day in English by an English-speaking teacher. Students are taught the same curriculum as their peers and are expected to master the same state standards while getting instruction in both languages. The Spanish and English-speaking teachers will collaborate on teaching all subject material. More than forty years of research consistently documents the power of language immersion programs to help students attain high levels of second language proficiency. No other type of instruction, short of living in a second language environment, is as successful. Young children especially thrive in this type of instructional environment. Students achieve high proficiency in the immersion language. Immersion students perform as well as, or better than, non-immersion students on standardized tests of English and math administered in English. Immersion students typically develop greater cognitive flexibility, demonstrating increased attention, better memory, and superior problem solving skills, in addition to enhanced understanding of their primary language. Immersion students are more aware of and show more positive attitudes towards other cultures. They develop an appreciation of other people. Language Immersion students are better prepared for the global community and job markets where a second language is an asset. The DLI program seeks to enroll students of varying backgrounds and ability levels. Applications are open to all students entering Kindergarten. However, it may not be the best placement for children experiencing significant communication delays in their primary language. Commit to long-term participation in the DLI program. Develop an understanding of Language immersion education. Read with your child (in English) 20-30 minutes daily. Support the challenges and celebrate the successes! LCSC is committed to growing the Spanish DLI program each year. LCSC will evaluate the program annually to ensure quality and make adjustments based on student data and stakeholder feedback. 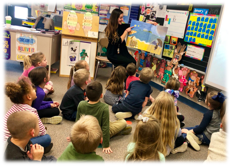 Lawrenceburg Community Schools will launch our Spanish Dual Language Immersion Program during the 2019-20 school year.